I spent my Easter vacation away in a small Transylvanian town where I have relatives. I'll call it Village T. It’s technically a small town, but like many around the country, it has shrunk in recent times as many young people left to find work elsewhere. Nevertheless, the place is beautiful, and celebrating Easter there is special. There are many Easter rituals besides the food (going to church at midnight and on Sunday morning, visiting neighbors, going to the cemetery on the second Easter day – we have three days of Easter – or the following Monday, and so on). There's certainly plenty of material to write about. I also took many photos. This article is about our traditional Easter foods, since many people wonder about dishes that are served on major holidays around the world. 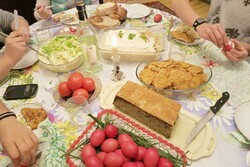 I tried to snap enough pictures for you to get an idea what our Easter meals look like. 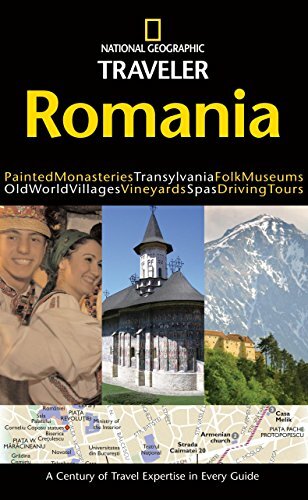 And by "our" I mean both region-specific (Transylvania) and country-specific (Romania). We have our first Easter meal soon after midnight, when we come back from church with our lit candles. If we have tall, thin candles, we stick them into the ground (often after we've snuffed them on the top of the doorframe). If we have tea candles, we simply leave them to burn somewhere outside. There are all sorts of traditions regarding the time when you should prepare the Easter dishes. The eggs should be dyed on Thursday or Saturday, even though one story regarding this custom sees its origin in a basket of eggs that Mary placed under the cross where Jesus was crucified, eggs which turned red from the drops of blood falling from the wounds of Jesus. On Good Friday baking is prohibited. I see this interdiction doesn't exist in the Catholic world, where hot cross buns are eaten and often baked on Good Friday. But then again, these make a symbolic connection with the Crucifixion, which is what the day is about. Speaking of baking, you should have on the table cozonac (a sort of sponge cake with dough similar to Italian panettone, but made by braiding two strips of dough), pască (a cake made with the same dough as the cozonac, a layer of cheese mixed with egg and sugar, and sometimes raisins as well), and various cakes. My aunt made pască, two sheet cakes, and Cremeschnitte filling for some store-bought rolls. I love holiday cakes. I munch on them in between meals. Also fruit. We made together the meringue frosting for one of the cakes, the drob (a Romanian lamb haggis my aunt makes with lamb organs, chicken liver, green onions and leeks, egg yolks and hard-boiled eggs, and rice); diced the vegetables for the boeuf salad, which was not made with beef but rather with the chicken wings from the soup -- then with diced vegetables from said soup, pickled cucumbers, and mayo; and so on. Easter Sunday lunch was a tasty and leaner affair, with chicken soup and oven-baked lamb steak, served with mashed potatoes and salad (lettuce and green onion). Then we helped ourselves to sweets. Some of us had an early dinner of haggis, cheese, and tomatoes/salad. Others waited for the mititei (translates as "small ones"; they're grilled meat rolls, made from ground beef and pork, mixed with spices). My cousin burned ours a little but they were still very tasty. We had them with horseradish and mustard (one or the other). These are not a traditional Easter food – just something very popular in Romania, on a par with cabbage rolls, sausages, or a chunk of pork meat with beans (also polenta with cheese and sour cream). 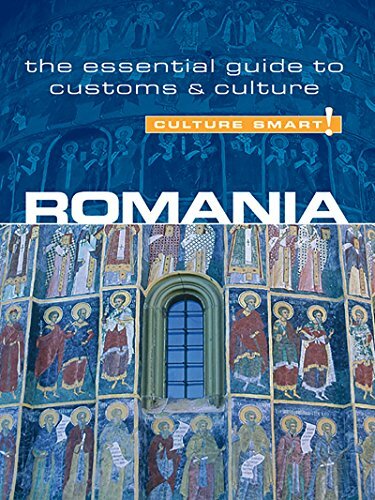 If you’re interested in Romanian foods, see the Taste of Romania book below. 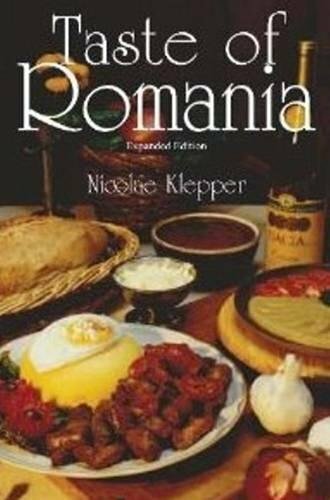 Nicolae Klepper did a great job with it, culling not only some of most popular dishes, but also some of the best recipes for them. As I said, popular on any occasion and traditional for Easter and Christmas are cabbage rolls. We had some of those too. Pork also made an appearance, even though the star this holiday was, of course, lamb. 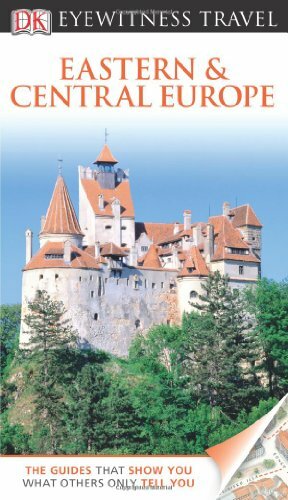 Taste of Romania is a truly wonderful cookbook, with great recipes and a great selection of dishes. The author, Nicolae Klepper, left Romania when he was twelve. 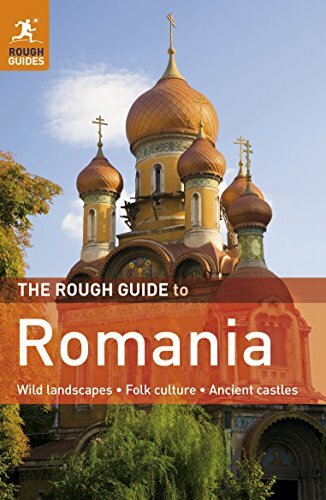 He retained his love not only for Romanian cuisine, but also for its culture, so he peppered this book of 150 recipes with tidbits about Romanian writers, a folk tale, a poem, stories about how polenta was served here in the past, a few pages on the history of Romania and its people, and so on. The book includes a bilingual index, a few pages of Romanian-English-French dictionary, so you get to know the words for the ingredients, and helpful notes on the ingredients (and substitutes) when they're not readily available in the US. There's also a section on Romanian Jewish recipes. It includes things like sorrel soup and chickpea tzimmes, both of which sound delightful. 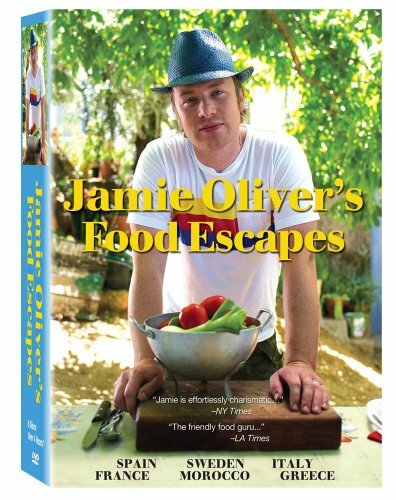 His recipes are truly wonderful; some of them come from respected chefs. It is amazing the way food can help tell details of a region. Well done. oh yes please . I am a keen baker and would love the recipe. Cheese and onion pie sounds great! The Daniela cake is one of my favorites. I think it's a local recipe. I'll have to ask my aunt again. Interestingly, we had oven baked lamb steaks one night this week. Delicious. I was interested in the word Pasca which is like our Paschal / Easter word. And especially your Daniela cake . And yes I do bake on Good Friday a cheese and onion pie which was my Beswick family tradition. Well, now you know something :) Thank you for your words, Veronica! Mira, this is just amazing and exactly what I would have wished to read. I love reading about other cultures and how they celebrate. The food looks wonderful. Especially those bread and cake pictures. Ty for postng. know NOTHING about the food from your land. We don't have special drinks. We should, but we don't. It's mostly soda and plum brandy. In the cities people also buy fruit juices. Mira, Everything looks inviting, even the cooking and serving ware! What do you think of Scotland's haggis in comparison to Romanian Easter lamb haggis? What do you have for drinks?